You all loved the firework salt painting project so much that we decided to do a Christmas version! Craft projects with my kids are my favorite thing to do in the winter months where we can’t get out as much. 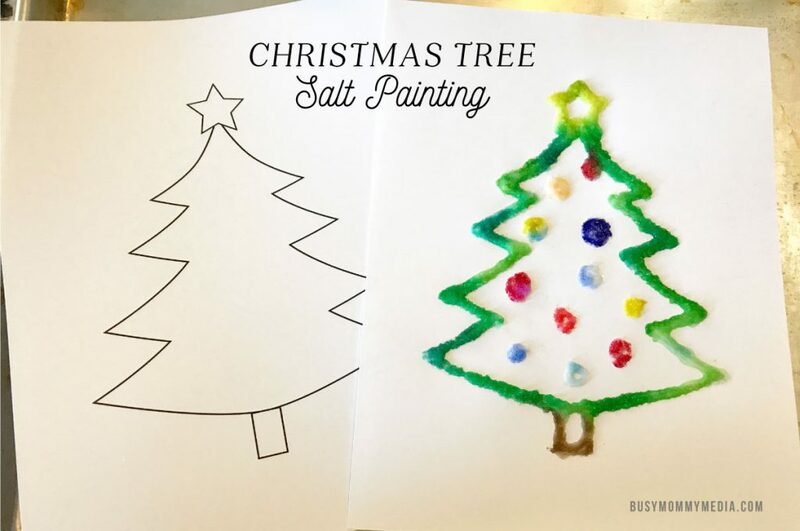 This Christmas Tree Salt Painting art project is perfect for kids (or anyone really). The final product looks so pretty! These make the perfect Christmas art project for kids and this technique is such a great way to make DIY holiday decorations! I love salt painting with my kids. The process is so fun to watch and the projects look gorgeous when they are done. I used a tree outline for this project ( download below) and then freehanded some ornaments inside. This project is good for kids ages 5+. Younger kids may have a harder time with the glue. My three year old really loved just painting the tree and doing her own thing. I hope you enjoy this project! Optional: You could also use food coloring and an eye dropper instead of watercolors if you’d like. Start by laying your paper on a cookie sheet so the salt doesn’t get all over the place. 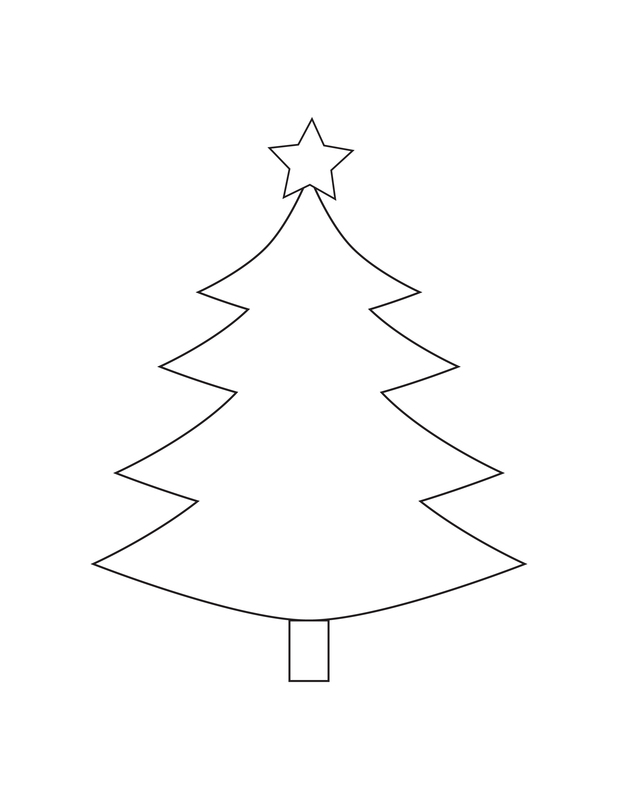 Trace the tree template with the glue. It works better if you do it thick. Next, sprinkle salt over the glue before it dries. Apply generously! You want to get everything covered. Shake off excess salt onto your tray. Get your watercolors really wet, and lightly paint onto the salt. You can use food coloring and an eye dropper here if you’d prefer. You can paint on it before the glue completely drives, you will just want to do it gently and not put down too hard. I tried to get my brush extra drippy so I barely had to tap the design. The salt will make colors bleed together so have some fun with that! I tried doing multiple shades of green for the tree outline so make it more interesting. Let project dry completely and you are done! Your kids will love how the salt sparkles when its all dry. *Over time this project will flake off and won’t last forever, so make sure to take pictures of your kiddos creating! A reader shared this awesome tip with us. Spray your project with hairspray when you are done to make it last longer.